As the leader of a thriving ministry that reaches students from middle school to college, Carlos Nicasio (San Diego 2008) had his hands full. Self-aware of both his strengths and need for growth, he was in search of new and smarter ways of doing ministry when the opportunity to participate in the DeVos Urban Leadership Initiative came along. In 2007, Nicasio was nominated to participate in DVULI’s 2008 San Diego cohort. This opportunity was to be a prescription for what he needed most in addressing his ministerial shortfalls. When applying for the program he had limited understanding of how beneficial the training would be. After he was accepted into DVULI, Nicasio went a step further and enrolled in the Fuller Youth Institute extension of the training. This afforded him the opportunity to earn college credit and to have an enhanced, yet more personalized, learning experience. From the first DeVos workshop, Nicasio was well on his way to what the DVULI program has termed “Breakthrough.” He got to travel with his fellow cohort members to Orlando, Florida for DVULI’s first national conference. That’s the module in which DVULI introduces its five core values to their participants. Accountability, Balance, Empowerment, Interdependence, and Leverage were the focus of the week-long training. For Nicasio, this was where he recalls the lights in his mind starting to illuminate, and when he began to realize how much more he could accomplish as a leader. With a new set of skills, Nicasio returned home and went on to co-found Concrete and Canvas, a non-profit startup in San Diego, California which provides leadership development for youth and young adults. 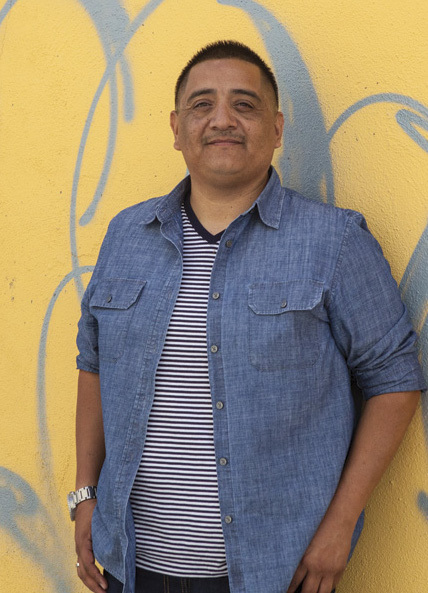 Working with this population is Nicasio’s passion, in part because of the troubles he faced as a young person growing up in San Diego. Although he was raised by parents who were strong in their faith, Nicasio found himself going through a phase of succumbing to the negative influences of his peers. Nicasio’s destructive past is far behind him and he’s determined to impact the youth he serves with the Gospel of Christ. He realizes, however, that he needed the transformational experience that DVULI provided him so that the disciplines associated with accountability, balance and other valuable learning could be put into practice. As an alumnus of DVULI, Nicasio approaches ministry from a new perspective of partnering with his fellow alumni in San Diego. This is the breakthrough he needed and the results DVULI hopes to see from the youth workers who complete the training. Now the students who observe Nicasio’s life can be influenced by someone who not only can relate to their challenges, but is also an example of growing beyond peer pressure to a life filled with meaning and purpose.